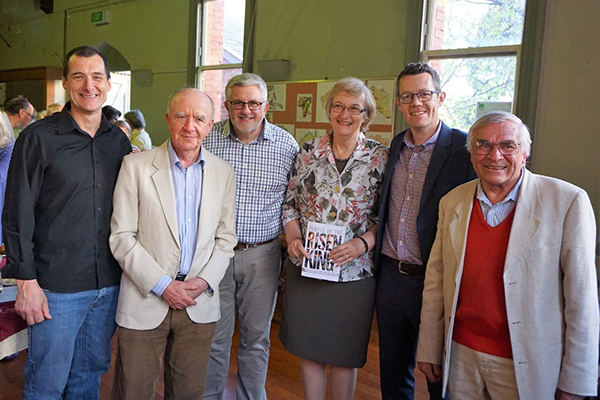 On October 28th, 2017 Elizabeth Willis’ history of St Jude’s Anglican Church was launched by the Rev Dr Peter Adam, Vicar Emeritus of St Jude’s. 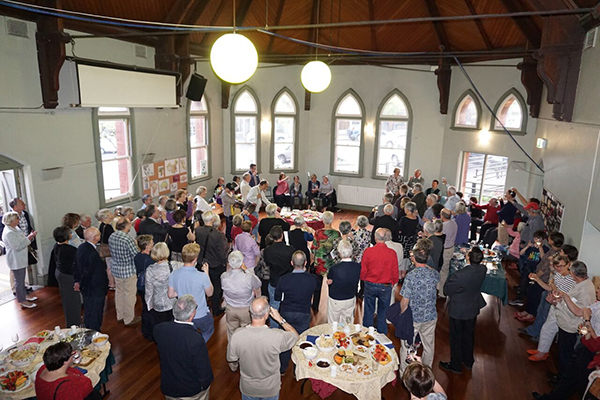 Current parishioners and many past members celebrated this significant event in the life of our church. In his forward to the book, The Rev Dr Chris Mulherin writes “…. as well as an engaging recounting of human comings and goings, this history is also laced with clear theological convictions. 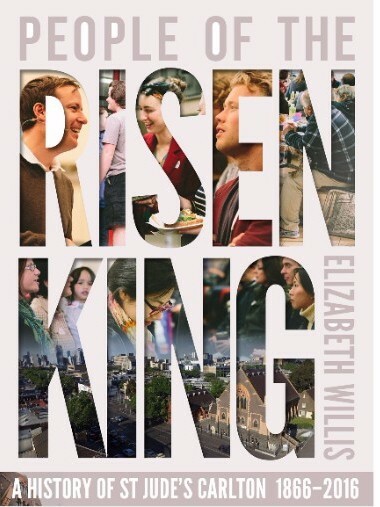 Elizabeth is a Christian: for her, the story of St Jude’s cannot be reduced to a tale of insignificant leaders and followers strutting and fretting their hour on the stage of history. For the Christian, the history of a particular church is the history of God’s working with Christians of every generation in building the Church – the body of Christ. And so, Christ is at work in his people; they are the people of the risen King.